These recipes first appeared in The Irish Independent’s Insider magazine on Thursday 15th May. At forkful, we love when weekends provide us with the time to indulge in a bit of baking and battering. We became better bakers (and batterers) when we realised the key ingredient to an enjoyable cake is to take the pressure off the baker. So take your time and remember: you’re not on Masterchef. A leisurely slot of working with flour, milk and eggs on a Saturday morning can provide you with some luscious treats by lunchtime. The moisture from the courgettes make these fritters moist, light and fluffy. These little beauties are great for breakfast, lunch and dinner. Pick up a pack of Irish courgettes and get grating. Sieve the flour into a large bowl. Gradually whisk in the milk until well combined. Crack in the egg and whisk until you have a smooth, runny batter. You can add a drop more milk it’s too thick for your liking. Finely grate in the zest of half a lemon. Add the chilli flakes and a pinch of salt and pepper before mixing again. Finely grate the courgette and add to the batter. Crumble in the feta and add the freshly chopped mint before stirring one more time, until all the courgette and feta are well coated in the batter. Heat a bit of butter in a large, non-stick frying pan over a medium heat. Add a heaped tablespoon of the batter to the pan and fry for 6 to 8 minutes on each side, or until golden brown and cooked through. 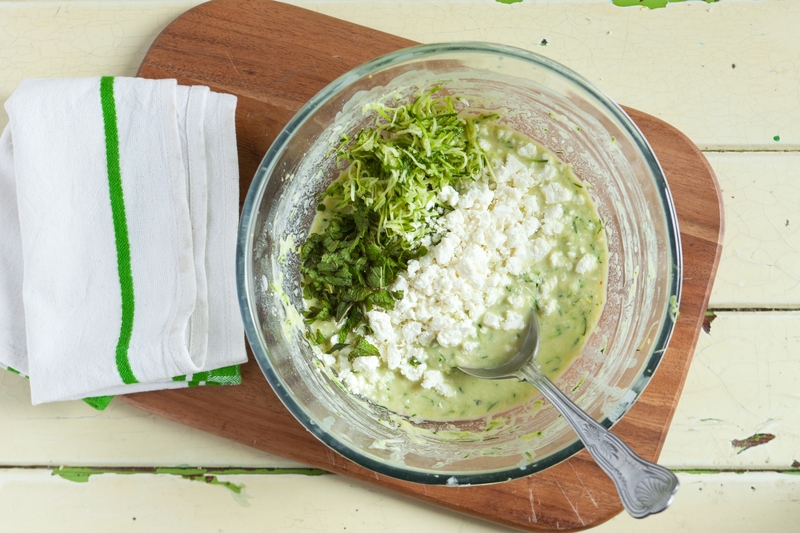 Serve with an extra crumbling of feta, some extra freshly chopped mint and a slice of lime on the side. 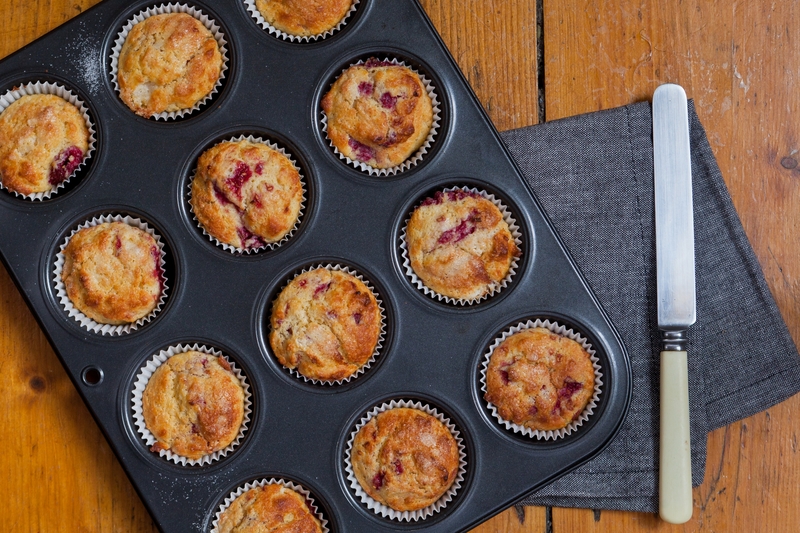 These little muffins make use of our favourite Toonsbridge Dairy ricotta (http://www.therealoliveco.com/toonsbridge) and they’re speckled with raspberries which are a dream to bake with. 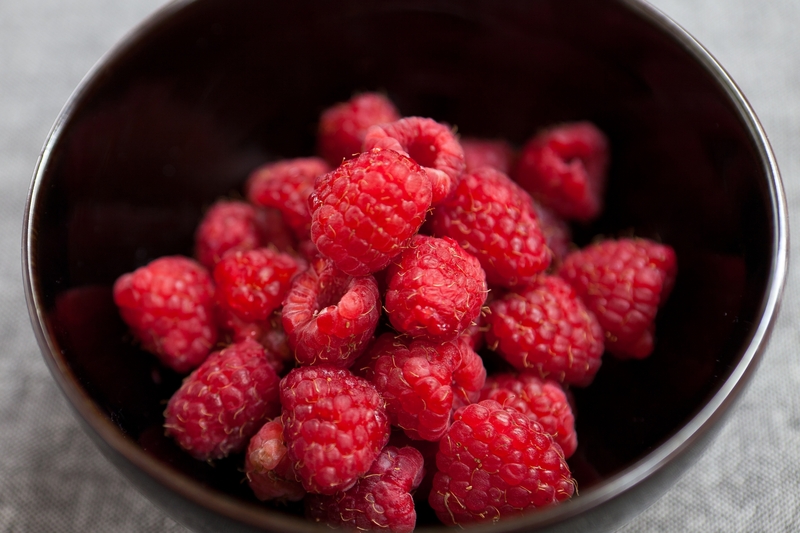 Raspberries are grown in Ireland and The Apple Farm in Cahir, Co Tipperary (www.theapplefarm.com) harvest theirs from June to October. Getting your hands on those would make these muffins extra special. Preheat oven to 180°C. Line a muffin/cupcake tin with 12 paper muffin cases. Using an electric mixer, beat the butter, ricotta, sugar and vanilla until light and creamy. Add the eggs, one at a time, beating well after each egg. Sift the flour into the butter mixture and add milk. Finely grate in the zest of half a lemon. Gently fold in flour and milk until just combined. Fold in berries. Try not to work the batter too much as that will hinder your muffins from being light and fluffy. Spoon into muffin cases. Bake for about 20 minutes, or until a skewer inserted into centre comes out clean. Allow to cool in the muffin tin for 5 minutes before transferring to a muffin tin to cool completely.